Last week, the Philippines and Croatia finally inked a formal defense pact. The finalization of the memorandum of understanding (MoU) on defense cooperation — a culmination of conversations the two sides have had for years — is a significant development for this aspect of collaboration by the two countries. While the Philippines and Croatia have long had diplomatic ties, the defense aspect of the relationship has been traditionally quite slow in progressing. Though both sides have had previous discussions about increasing aspects of defense collaboration in areas like defense industry cooperation, including under previous Philippine President Benigno Aquino III, those conversations had never really concretized into the inking of a formal defense agreement. Last week, the defense aspect of the relationship got a boost with the conclusion of a defense pact. On April 11, the Philippines and Croatia signed a memorandum of understanding on defense cooperation in Split, Croatia, with the Philippine side represented by Defense Secretary Delfin Lorenzana and Croatia by Deputy Prime Minister and Minister of Defense Damir Krstičević. As is usually the case with such pacts, the MoU on defense cooperation covers various aspects of defense and security policy. These include military education, training and capacity building, military equipment, logistics and maintenance, defense industry and technology, and other areas as well. Per Philippine Department of National Defense (DND) spokesperson Arsenio Andolong, the range of activities both sides will be exploring will include exchanges of delegations and personnel; personnel for on-the-job-training; information, documentation, and materials; and participation in seminars, workshops, and other activities organized by both countries. Lorenzana framed the conclusion of the agreement as being not only a boost for defense collaboration and the development of better and warmer bilateral ties more generally, but also an advance for the DND’s own ongoing efforts to increase and strengthen its international defense and security engagements with other countries under the national government’s independent foreign policy. 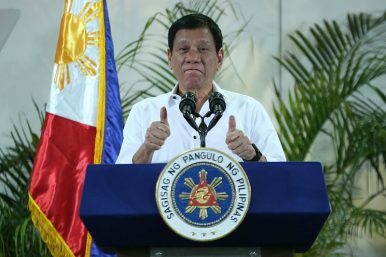 As I have noted before in these pages, the notion of an independent foreign policy under current Philippine President Rodrigo Duterte has seen Manila not only reinforce traditional relationships, including its alliance with the United States, but also develop ties with never partners as well, including China and Russia. Beyond this, few indications were given as to what both sides would do to begin further operationalizing aspects of defense collaboration following the signing of the new MoU. Nonetheless, how this affects the future trajectory of ties will continue to be interesting to watch. Where Is the Philippines’ Air Force Modernization Under Duterte? Despite delays, there are some signs of progress on key projects.